29 Dec, 2017 by	Margaret M.
Debra Messing, who lost her grip on reality earlier this year when the New York Times said something nice about Ben Shapiro, is now rubbing her fruitcake attitude off on her young son. 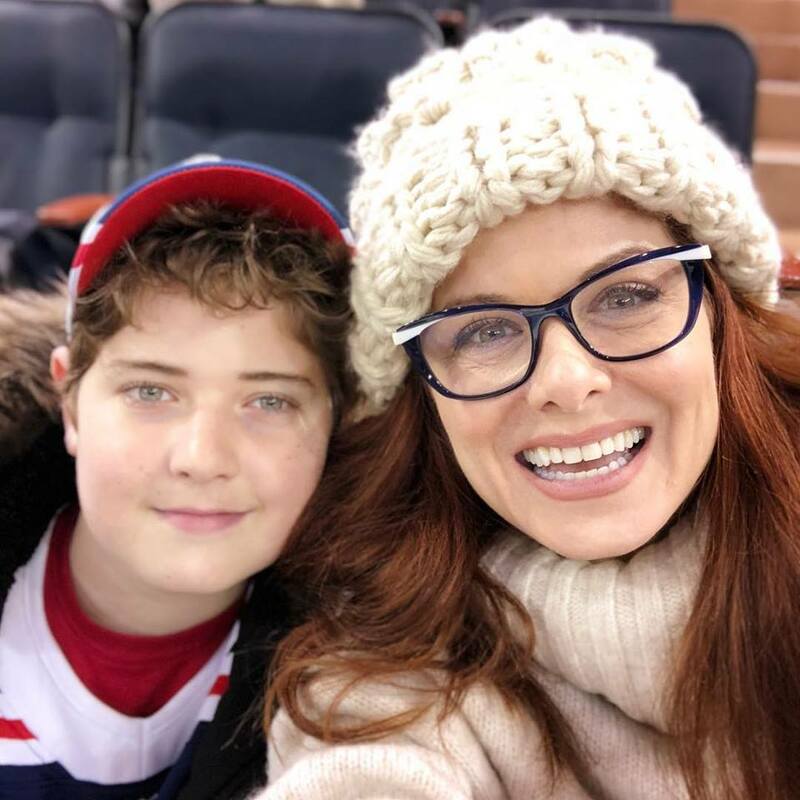 While attending a New York Rangers game on Wednesday (where the Rangers beat the Capitals 1-0 in a shoot out), Debra was busy updating her social media, starting with a selfie. Debra, 49, earned her fame as an actress on the television show Will & Grace and recently appeared on Megyn Kelly’s NBC Today Show, where she badmouthed Kelly on her social media to her fans. Kelly might not be to everyone’s taste, but I sure wish entertainers would stick to entertaining and stay away from political discussion. Messing said that she “regrets” having appeared on the show and was not warned that she would be interviewed by Kelly, saying that she was doing press for the reboot of Will & Grace and was not told which show she would be appearing on. Back to the hockey game. According to a Facebook post, Debra’s teenage son asked his mother if it was okay if he ignored the call to stand for the National Anthem and to sit in his seat instead. And Debra followed it up with a #BlackLivesMatter hashtag. For starters, I’m surprised when celebrities upload photos of their non-celebrity family because while I am open online about my identity, I don’t like to throw anyone else’s face into the fray. Not everyone I spend time with agrees with my politics and I’d rather not have anyone confuse my beliefs for theirs. Personally I think she should just let her son enjoy a good game and leave the politics to her own free time. Debra seems to be comfortable talking politics and taking her left-wing stances, but it can’t be helpful to her career as a neutral entertainer.